Maryam Nawaz on Saturday told reporters that she and her father, Nawaz Sharif (Sharifs), would return to Pakistan this coming Friday to file an appeal against the accountability court's decision in the Avenfield properties case. A day earlier, the Sharif family had been sentenced in the Avenfield properties' corruption reference, with Nawaz getting 10 years’ imprisonment and £8 million in fine and Maryam, seven years’ imprisonment and £2 million in fine. 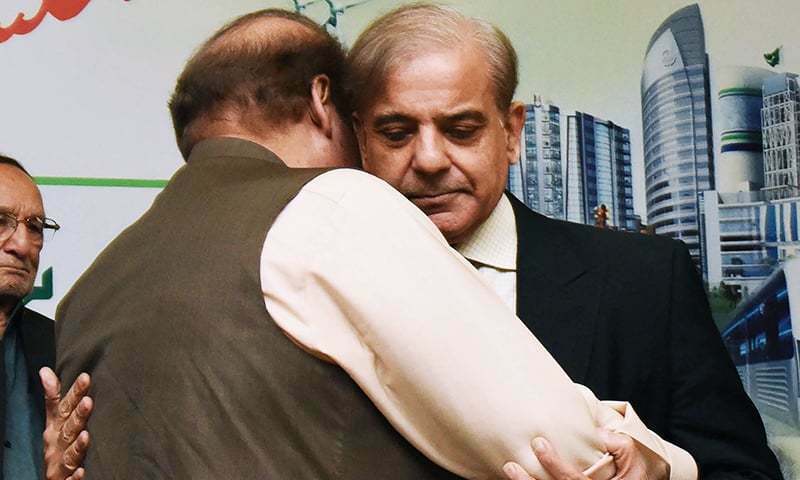 The Sharifs do have the right to appeal under Section 32 of the National Accountability Bureau (NAB) Ordinance before two judges of the Islamabad High Court (IHC). The IHC has inherent powers to accept the appeal, suspend the sentence(s) pending appeal and/or overrule the authorities’ sentence. The Lahore High Court (LHC) dealt with a similar matter in 2002, whereby the (late) Begum Nusrat Bhutto was tried and convicted under the NAB Ordinance (she was overseas throughout the trial due to old-age incapacities). A 2012 Supreme Court (SC) judgment4 might, however, leave some room for interpretation. The Sharifs could file their petition for suspension of sentence (pending appeal) under Section 426 (1) of the Code of Criminal Procedure (CrPC). Section 426 (1) of the CrPC relates to a situation when a convict has filed for the suspension of sentence, has not yet surrendered before the police, but appears before the court instead. In the aforementioned SC judgment, the Court found that a convict appearing before the High Court amounted to surrender, notwithstanding the fact that he had remained an absconder for more than a month after conviction, without surrendering to the police. Consequently, the Sharifs could “surrender” under Section 426 (1) CrPC by appearing before the court without surrendering before the police. However, sources have stated that NAB authorities will be waiting to take the Sharifs into custody as soon as they arrive in Lahore. Furthermore, Maryam has stated that her father will be offering his arrest upon arrival. An Appellate Court examining suspension of sentence (pending appeal) is only required to tentatively assess the evidence, as the court is not deciding the innocence or guilt of the convict. High Courts have granted bail and suspension of sentences after conviction in certain NAB cases (e.g. appeal had been pending indefinitely without fault of convict, the convicts had previously been allowed bail during trial and were imposed a shorter sentence). However, there exists little precedent for suspension of sentence and/or release on bail for convictions of seven years and more. This is in part due to the Section 497 CrPC prohibitory clause, whereby convictions of more than seven years are more are generally not granted bail exemption. Therefore, the only real remedy for grant of bail and suspension of sentence for the Sharifs can be if the IHC finds that there are glaring errors apparent on the surface of the judgment. Consequently, the Sharifs will have to establish a high threshold to show illegality within the authorities’ judgment based on a bare perusal of it to obtain suspension of sentence. The Trial Court found that the prosecution successfully proved its burden under Section 9 (a) (v) of the Ordinance, as the properties found in possession of accused/Sharifs (i.e., London flats) were disproportionate to their known source(s) of income, and that the Sharifs did not satisfactorily account for possession of such property. Consequently, the Sharifs were found guilty within Section 14 (c) of the NAB Ordinance for corrupt practices. Critics have relied heavily on a 2011 SC judgment9 to assert that in order to convict under Section 9 (a) (v) of the NAB Ordinance, the prosecution must bring on record the misuse of authority of a public servant to show that the assets built by him is disproportionate to the known source of income. The High Courts have recently come to the same conclusion. However, in the aforementioned 2011 judgment, the apex court was critical of the fact that the authorities had filed a reference and claimed a non-existent nexus between misuse of a public official’s authority and accumulation of assets beyond known sources of income. No such nexus was claimed by the prosecutors in this case. The Trial Court’s judgment was based entirely on the presence of disproportionality without sufficient explanation, which is enough to convict. In fact, the SC’s Panama verdict briefly cited towards the 2011 judgment, and did not mention any requirement of nexus between misuse of public authority and ownership of benami property for the purposes of conviction. 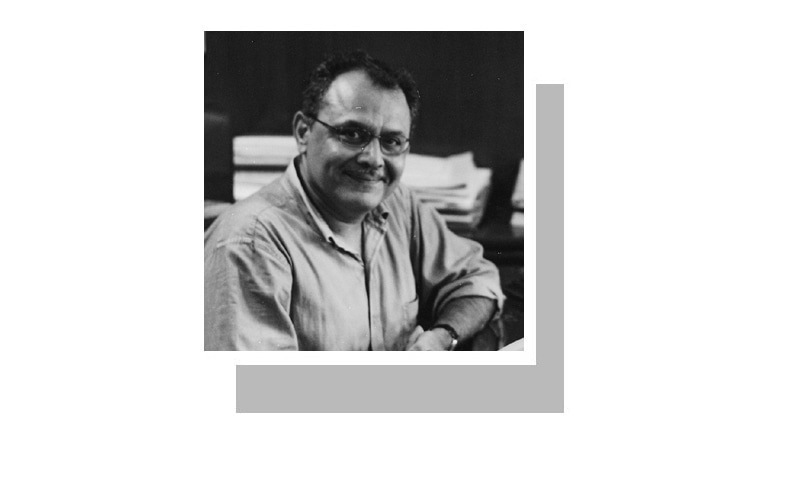 Consequently, the Sharifs’ best bet would be to tackle the Trial Court’s handling of the evidence. 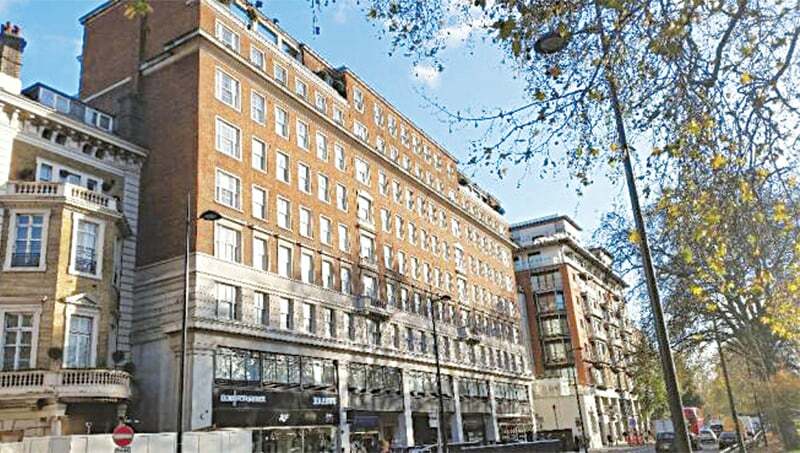 In appeal, it will have to be determined by the High Court whether the prosecution fulfilled its burden of proof (prima facie) that the Avenfield apartments were not purchased from the sources of incomes shown by the accused. Documents showing Maryam’s connections with the holding company of the company that owned the Avenfield apartments; digital media such as video clips purporting to show various members of the Sharif family uttering words of possession and/or association with the Avenfield apartments at various times; the Sharif family living in the apartments since the year 1993; the British Virgin Islands' attorney general verifying Maryam’s beneficial ownership of the offshore companies and Nawaz being chairman of a Dubai offshore company owned by his son. The culmination of all the circumstantial/secondary evidence led the Trial Court to determine that “the entire family…are one and the same monolith” in terms of culpability. The Trial Court deemed credible the prosecution’s use of Joint Investigation Team’s (JIT) chart of the Sharif family’s assets and liabilities as their “known sources of income,” which was contrasted with the Avenfield properties to show disproportionate source(s) of income. The Trial Court found that the Sharif family’s explanation(s) did not reasonably account for possession of such properties. The infamous trust deed document purporting to show Maryam as a trustee and Hussain Nawaz as the beneficiary owner was dismissed by the Trial Court for the same reasons as the JIT Report (Calibri font). The narration of investment with the Qatari royal family was deemed insufficient due to lack of corroboration. The lack of production of documents of incorporation and articles of association of the offshore companies was impugned against the Sharif family as lack of sufficient explanation. The lack of production of witnesses and presentation of additional documents also contributed to the lack of satisfactory explanation in the eyes of the Trial Court. Finally, the Trial Court came to a conclusion that it was Nawaz’s unaccounted for money that purchased the apartment in 1993, and not the children, as they were held too young to have tangible assets. It is settled law that circumstantial evidence should be of a conclusive nature. It should exclude every possible hypothesis except the one to be proven, and there must be a chance of evidence complete to the extent that it does not leave reasonable ground for conclusion consistent with the innocence of the violators. This principle will hold the key in the adjudication of the appeal and suspension of sentence (pending appeal). 12005 YLR 1283, Sindh High Court. 32002 PLD 74, Lahore High Court. Avenfield House or ‘tax haven’ house? A very interesting analysis by Ali Chughtai. How does a trial court deal with "evasive denial" clause per the evidence act (rules of evidence)? Nawaz Sharif is saying his father sold steel mills in Dubai and invested money with Khatar Royal family. Khatar Royal family were the owners of Avenfield flats. They are saying they transferred the ownership to Sharif family as settlement of debt. NAB can verify 1) How much money was obtained from Steel mills sale 2) When did Khatar family buy these flats and when did they transfer them to Sharif family. If these transactions happened in 1993, why nobody bothered to look into these allegations for so long? Why only now? Circumstantial evidence is not necessarily 100% proof of guilt. Nawaz Sharif's argument is that his Sons inherited directly from their grandfather. NAB should verify such transfer by looking at registered will. Overall poor investigation by NAB. This case will be tossed out in higher court where selectively tossing out evidence and treating threadbare circumstantial evidence as real evidence are not tolerated by superior judges who hold law to the highest esteem. A nicely written explanation, the convicts should be treated exactly in the same manner as an ordinary Pakistani citizen, no better or worse. however one thing is clear that no tangible proof was given by the Sharifs. At the end, we pray to Allah that justice was done and will be done to these people as they are now going to appeal. In short, the only chance they have is to show a credible money trail. Brilliant article. I have not come across such clarity of thought and such in-depth legal research. Previously Bhutto dynasty was harrassed, currently it is Sharifs turn. Tomorrow it will be IK's turn. Tradition continues. Musharaf mean while can continue to enjoy in Dubai. Laws, jails and punishments are only for common man or out of favor ex-PMs. I am not a lawyer or a legal expert .....what I understand is what I can see and what I see is my country is drowning in debt, plagued with inept governance ....while our leaders live in shameless splendor, their children are deliberately made dual nationals and their wealth is openly held abroad. It was unfortunate for Nawaz but fortunate for the poor people that he was highlighted in the Panama Papers ..... so resorting to legal jugglery to avoid justice being done .... would be a pity and a disaster for our country. What people forget that in 1992/93 ( 25 years back) when Evenfield properties were bought the value of flats in that area were 150,000 to 200,000 Pounds. The value of Pound Sterling was was about Rs 45/=.. The fools Sharifs' could have easily accepted that they were theirs', they were never paupers. Even in 1960s they had the biggest steel plant in united Pakistan and could easily buy such property. The verdict has inherent legal weaknesses and conflicts within it. No attorney with knowledge and experience can miss them. The due process must be used and hopefully justice served will clearly rise above all further excuses. The money must be brought back to Pakistan before any consideration any leniency this case. Nawaz Sharif, Mariam Nawaz and Capt Ret, Safdar have no point to defend or go for appeal. They have to suffer what they did. Legal cases always come down to who has the better lawyers. Sadly bue truly, facts are secondary to lawyers' skills. Thank you so much for updating the nation regarding the different possible scenarios. Media can beat the bushes as much as they like. At the end Sharif’s are theives. Only way is to give the money trial thats all. Dirty politics by underground powers. Syed Muhammad Wasim v The State (Cr. Acc. Appeal No. 11/2018) - Order dated 14.06.2018 (unreported). I think there is a chance that they get some relief from Islamabad high court. I am so proud of Pakistan which can hold a sitting leader/ Prime Minister to accountability. This would be unheared of in any other Muslim majority country where dictators and kings rule freely. Now then, we will witness some spicy headlines this Friday. Sharp analysis though from Mr. Chughtai. No way. I don't understand why are they returning. section 426, 497and 561-A CrPC are not applicablefor grant of bail or suspension of sentence in case of convictions under Accountabiluty Ordinance. Suspension of sentence can be sought through writ petition. @Concerned, If what you are saying is accurate, than to counter the proof presented by the prosecution, the defense has to show the proof you are talking about, they have to prove without a reasonable doubt that those properties were indeed "Gifted" or inherited. Show us where all this took place. Sure the circumstantial evidence is not proof, but the defense has not countered it with solid paper trail, counterfeit, fake and copied documents do not count. This case will not end up in a dust bin brother, I believe it will stand. The only way to appeal and over turn this conviction is for Nawaz is to have proof, proper transfer papers, paper trail,which they do not.